Blasphemy is the battleground where religious and secular worlds come into conflict. It has a history which reaches into issues of religious belief, freedom of expression, and is bound up with the growth and development of new media. 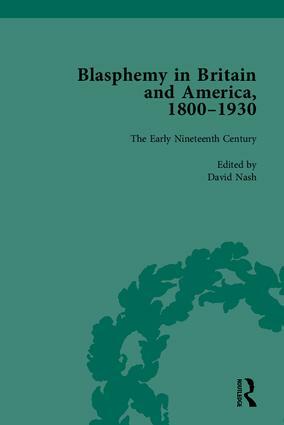 This title draws together a variety of primary sources relating to blasphemy from the Enlightenment onwards.